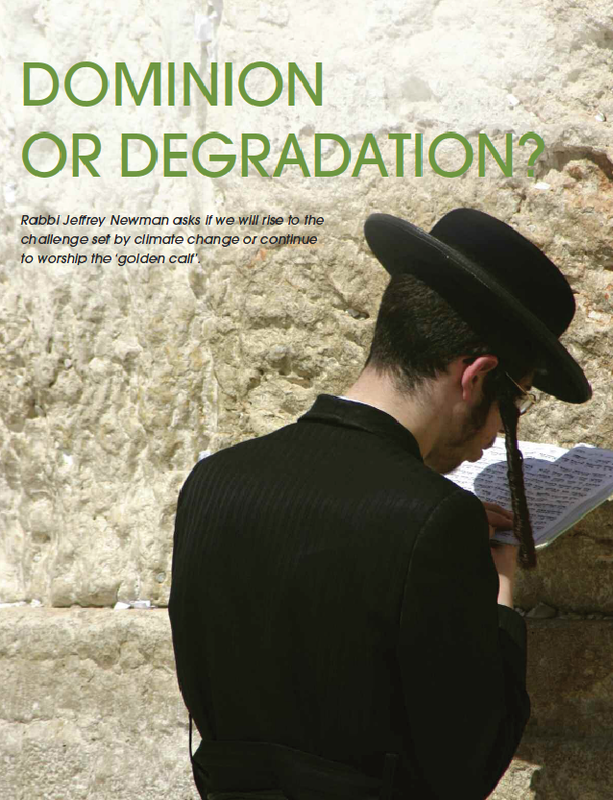 Rabbi Jeffrey Newman - "Many of us believe C&C is the only game in town. CBAT is a major step forward. I assure you of my on-going & dedicated support." Many, many thanks & congratulations on getting this next major step with CBAT underway. the principle of Contraction and Convergence. the Carbon Emissions which the planet can sustain at any time and to determine the per capita (tradable) allowances for fair distribution. and there can be a determined effort to reduce our fossil fuel energy use and replace them with renewable. I will do all I can to support you and others in publicising your idea and turning it into reality. Thank you for this heartfelt message. The whole 'genocide' angle on this story is almost too dreadful to contemplate. The precedent of looking away as you suggest is difficult to refute. But, as before, it is looking away that turns us to stone so face it we must. There have been times when one feels cast down as the issue is so huge and this effort has just seemed futile. But knowing that you are committed to bringing C&C to bear is uplifting to me . . . .
. . . and there are others now, so hope springs eternal . . . .
Israel than with the environment, inaugurated a new web-sitehosted by Operation Noah,an environmental group celebrating its tenth anniversary. The web-site highlights good practice and encourages the community, both individuals and synagogues, to change behaviour. renewable generation for communal institutions, schools, synagogues and families. sustainable and peaceful twenty-first century and are now being urged to join the Archbishop of Canterbury in campaigning for Contraction and Convergence. to an amount the Earth can bear and share out the right to emit greenhouse gases on a per-head-of-population basis. where the emissions are much less but the populations much greater, namely the developing world. "Anyone who thinks C&C is Utopian simply hasn't considered the alternatives honestly." I tend to reach for musical analogies here – you can hear the harmonics. 'OK, I can risk aligning myself with this.' Because you're never going to nail it to the floor and eat your heart out, Richard Dawkins! Well, no Marshall McLuhan will ever step forward in the queue and say to Richard Dawkins, 'The archbishop's right.' It's not going to happen." 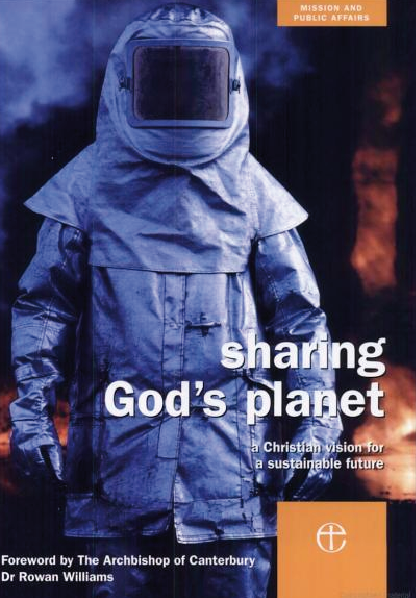 Faith and the Global Agenda: Values for the Post-Crisis Economy . . .
. . . . and Richard Dawkins will yet make his peace with Plato. 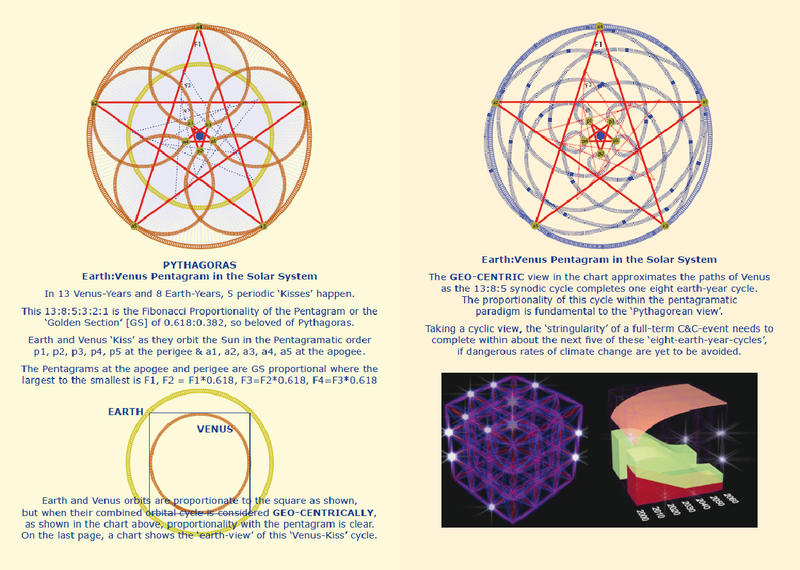 See Earth Charter Principles 4, 4a; 5, 5a; 6, 6a, 6b, 6c; 7; 8, 8a, 8c; 10a; 13a; 14, 14c; 16a, 16b. These selected Principles and sub-principles are only indicative; those highlighted are clearly especially relevant. Discussion on this selection would be entirely relevant and helpful. Since 1995, Aubrey Meyer, a musician and mathematician, has promoted a scientifically based policy approach, Contraction and Convergence. A very helpful series of intros can be found on Laurie Barlow’s http://greenswardcivitas.blogspot.co.uk. It is now (January 2014) clear that, as the short and powerful video, (published by IPCC & UNFCC ‘Climate Change: The State of the Science’ that the State of Climate Science) showshttp://bit.ly/1hZIxCD current estimates of the remaining Carbon Budget are far too optimistic if we are to avoid irreversible or runaway climate change. The purpose of this discussion forum, one amongst many, is to strengthen those of us who believe that this issue is the most urgent facing the planet and that Contraction and Convergence provides the only credible and equitable way forward. Aubrey has won numerous awards and been nominated for a Nobel Prize – but still there has been no breakthrough, though many believe C&C is ‘the only game in town’. 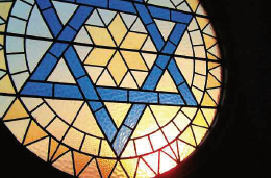 To conclude more personally, I became involved when, as a Jew – and a rabbi, that is, a teacher – I realised that 6 million of my people had been deliberately killed in World War Two and we Jews were, rightly, deeply critical of those who stood by, knowing what was happening. They were criticised as bystanders, though acting would have taken great moral courage. What is our excuse as we see increasing extreme weather conditions condemning millions, or even ‘hundreds of millions’ (Lord Stern) of families to hardship or death? by supporting one another and by publicising as widely as possible C&C. Our mission is to think, discuss, reflect and ACT. Arendt’s phrase that ‘in a world that produced the death camps, the impossible came true’, effectively put the world itself on trial. The world could no longer be accepted as it had been, and this effectively indicts Creation itself. Professor Bill McGuire - "GCI's brilliant CBAT visualization tool sidesteps wishful thinking & provides a sharp does of reality. I urge all to use & promote it." as a consequence of permafrost thawing, is both disappointing and dangerous. so pandering to those who wish to play down the level of warming we can expect and reducing the perceived impact of climate change down the line. sidesteps the wishful thinking and provides a sharp dose of reality. I urge all who wish to view a true picture of how climate change will transform our world as the century progresses to use it and promote it. Dimitri Zenghelis, Sir Nicholas Stern, Alina Averchenkova Grantham Institute - "Very useful; your comments may help inform future runs of DECC's GLOCAF model." Many thanks for this. (I sent some CBAT information). 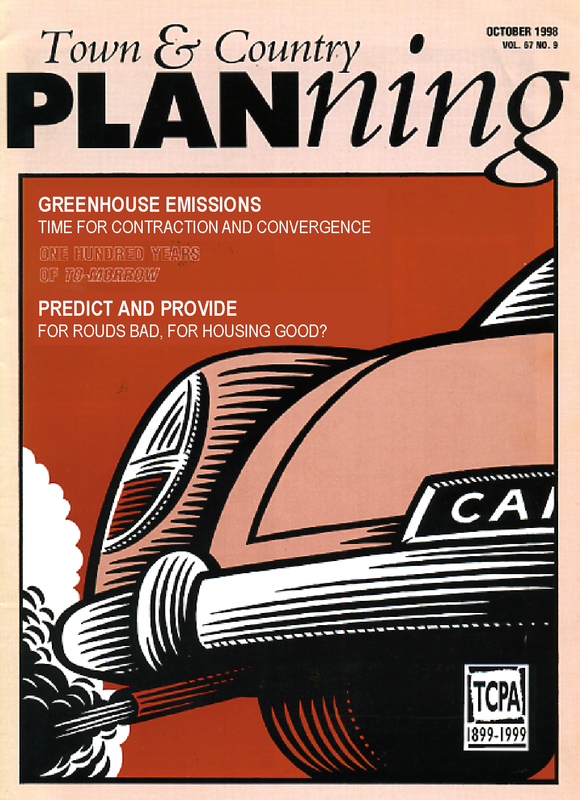 We did run various scenarios which supported the broad conclusions of our paper, one of which was precisely that the urgency of emissions reductions subject to growth and population projections swamps the distribution of ethical drivers. (I profoundly agree with this and wrote them to say so). But it is important that we have the cited C&C numbers right. I have informed colleagues, including those at DECC, for whom your comments might help inform future runs of the GLOCAF model. Sir David King Former Government Chief Scientist now Government Special Representative on Climate Change at FCO - "CBAT is obviously a great piece of work." Dr Sarah Perkins Climate Research Centre University of New South Wales - "CBAT is extremely well put together & useful; it should be the go-to tool for all our Governments." “CBAT is an extremely useful tool, and shows what needs to be done to reduce our emissions on a range of scenarios. It is extremely well put together and fascinating, and a little scary depending on what parameters you change! It should be a go-to resource for all our governments. Because of the level of detail and scenarios it considers and the quantitative figures, someone needs to share this with the Australian government. Along with all national governments, they would benefit greatly from understanding how our future will or will not change due to the choices we make now and in the near future. It’s a testament to CBAT that the U.K. are already employing it. I will keep this tool on file and refer to it when necessary. 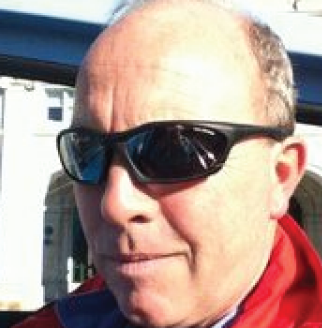 Michael Hutchinson Director of Tangent Films - "CBAT - Hugely impressive and brilliantly clear." burden of keeping within a finite science-based carbon budget. and governments need to understand that it will be hard to implement tougher carbon reduction measures without wider public understanding of the issues. Aubrey Meyer's new Carbon Budget Analysis Tool (CBAT), which he developed with two mathematicians from Oxford, can really help this. economic growth and the cost of climate damages. to go on and the interactions between different feedbacks cannot be predicted. This is why feedbacks are excluded from the RCPs in the IPCC AR5. However, as Nicholas Stern recently commented, the best guess is that the warming effect of feedbacks won't be zero. consequences of a C&C based agreement for burning different carbon budgets over different periods and at different rates. CBAT is a 'user as chooser' tool which helps anyone understand the projected consequences of different dates/rates of carbon contraction far more clearly than words. It really does shine new light on the unarguable maths of dealing with climate change, to which we must respond. Doctor Mayer Hillman - "Success, after years of intellectual rigour and dedication. The 4 Domain structure of CBAT is brilliant." This letter was sent today by Dr Mayer Hillman of PSI. It expresses grave concern about the confused attitude of British civil servants as they prepare for climate change negotiations at COP-17. The letter was sent to Dr William Rees, Terry O'Connell and Mike Hutchinson. It was also copied to an extensive list of other eminent persons. Now in March 2012, as we go forward to COP-18, all these concerns remain. This is not least, because in Tom Burke's recent article in the BMJ, he has taken to calling 'insurgency' by the under-40's against the over-40's. Is he suddenly calling now for 'cultural revolution'? Ernst von Weizsacker Chairman Club of Rome - "CBAT is a fine tool for a gruesome reality forecast." You are most welcome adding my name as a supporter. tough contraction and convergence (aimed at keeping global resource extraction at its current levels). 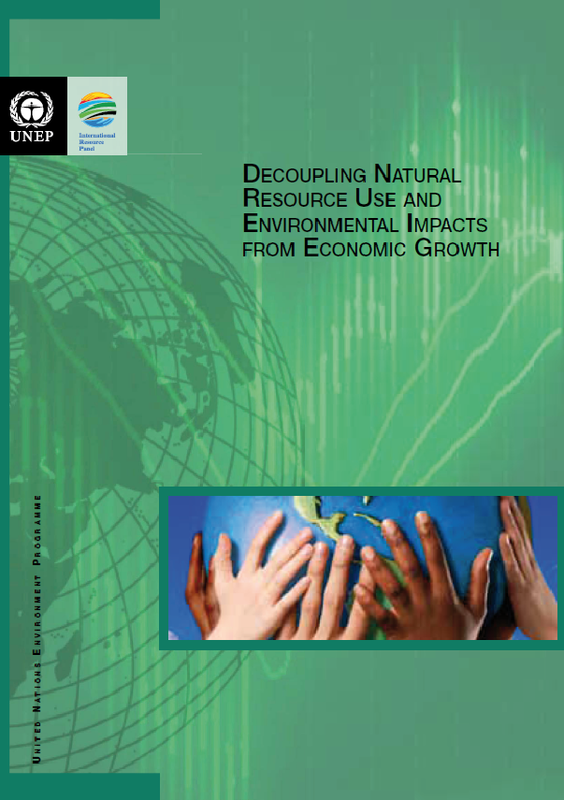 of economic activities will be necessary if the growing world population can expect to live under conditions of sustainable resource management. roughly the same as it is now. 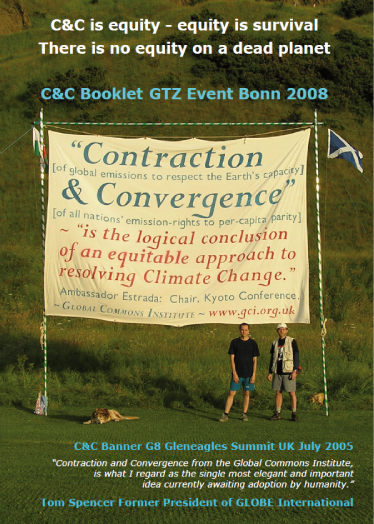 advocated by the Global Commons Institute for contraction and convergence in emissions (GCI, 2003). 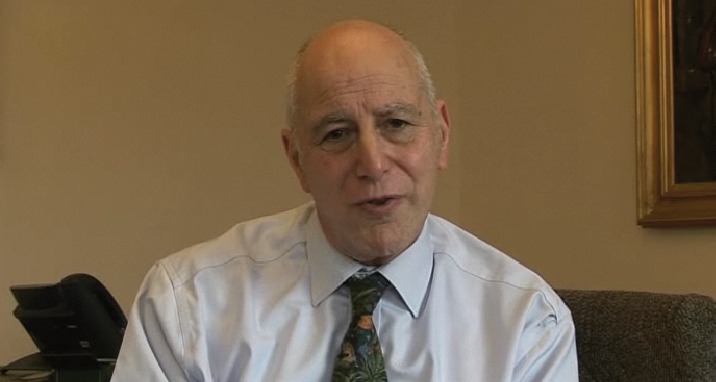 Professor Mark Maslin	UCL - "CBAT is a wonderful excellent tool. I will recommend this to students." This is a wonderful tool and an excellent tool which I will recommend to students to understand the link between emissions and impacts. Professor Don Brown Widener Law School Pennsylvania - "C&C embedded in CBAT is a very important tool for policy-makers." for achieving a global solution to climate change. caused by ghg atmospheric concentrations, (conclusions which change depending upon different assumptions that can be visualized in the CBAT). achieving carbon budgets that change depending on the time the world gets on an adequate reduction pathway among other things. impossible even for me, someone who somewhat understands these issues. The CBAT helps immensely improving an understanding of these issues. relationships between variables displayed in the CBAT. Part-Time Professor, Nanjing University of Information Science & Technology, Nanjing, China. I fully support efforts to make contraction and convergence (C&C) the central framework for allocating national greenhouse gas emissions in the years ahead. C&C is also flexible enough to deal with several equity issues raised by others. I [also] believe the new CBAT model should be of great value both to international climate negotiators, governments and NGOs engaged in international climate negotiations. It allows those interested in developing a global solution to visualize the otherwise complex interactions of international carbon budgets, atmospheric greenhouse gas concentrations, and emissions reductions commitments. Although I am personally familiar with the relationships between the variables represented in the CBAT, I found having the ability to change inputs to the model through the use of the CBAT made me understand at a deeper level the policy choices facing the international community. The CBAT model should be very useful for all who hope to understand future climate change policy options and the scale of the global challenge facing the world. I have been engaged in climate change policy options since the 1992 Earth Summit at which the United Nations Framework Convention was opened for signature and have attended most of the Conference of Parties under the UNFCCC since then. Yet even though I have significant experience and knowledge about future climate change policy challenges, the CBAT model helped me visualize the significance of certain policy options facing the world. "I believe the new CBAT model should be of great value both to international climate negotiators, governments and NGOs engaged in international climate negotiations. It allows those interested in developing a global solution to visualize the otherwise complex interactions of international carbon budgets, atmospheric greenhouse gas concentrations, and emissions reductions commitments. Although I am personally familiar with the relationships between the variables represented in the CBAT, I found having the ability to change inputs to the model through the use of the CBAT made me understand at a deeper level the policy choices facing the international community. The CBAT model should be very useful for all who hope to understand future climate change policy options and the scale of the global challenge facing the world. I have been engaged in climate change policy options since the 1992 Earth Summit at which the United Nations Framework Convention was opened for signature and have attended most of the Conference of Parties under the UNFCCC since then. Yet even though I have significant experience and knowledge about future climate change policy challenges, the CBAT model helped me visualize the significance of certain policy options facing the world. I also fully support efforts to make contraction and convergence (C&C) the central framework for allocating national greenhouse gas emissions in the years ahead. C&C is also flexible enough to deal with several equity issues raised by others." Is Still The Most Preferable Equity Framework for Allocating National GHG Targets . In addition to these principles, over the last decade, several new emissions reductions frameworks have evolved, which have received widespread attention in the international community, particularly among non-government organizations participating in international climate change negotiations. These include allocation formulas called, "Contraction and Convergence" (C&C) and the "Greenhouse Development Rights" (GDR) framework. C&C was first proposed in 1990 by the London-based non-governmental Global Commons Institute (GCI 2010) (see Figure 6.3). Basically, C&C is not a prescription per se, but rather a way of demonstrating how a global prescription could be negotiated and organized in a way that ultimately levels off on the basis of equal per capita emissions (Meyer 2000) . Implementing C&C requires two steps. As a first step, countries must agree on a long-term global stabilization level for atmospheric greenhouse gas concentrations as discussed in the last chapter. Once this is done a global greenhouse gas emissions budget can be calculated that would determine how many tonnes of greenhouse gases can be released into the atmosphere that will allow atmospheric concentrations to be stabilized. As a second step, countries need to negotiate a convergence date. That is, a date at which time the emissions allocated to each country should converge on equal per capita entitlements. During the transition period, a yearly global carbon budget is devised, which contracts gradually over time as the per capita entitlements of developed countries decrease while those of most developing countries increase. C&C would allow nations to achieve their per capita-based targets through trading from countries having excess allotments. And so, under C&C, nations eventually receive binding emissions reductions allocations that are distributed on the basis of equal per capita emissions for all humans. How to calculate greenhouse gas allocations between nations has always raised tensions between the developed and developing countries; the latter arguing that they have a right and need for economic development to help poor people rise above grinding poverty. 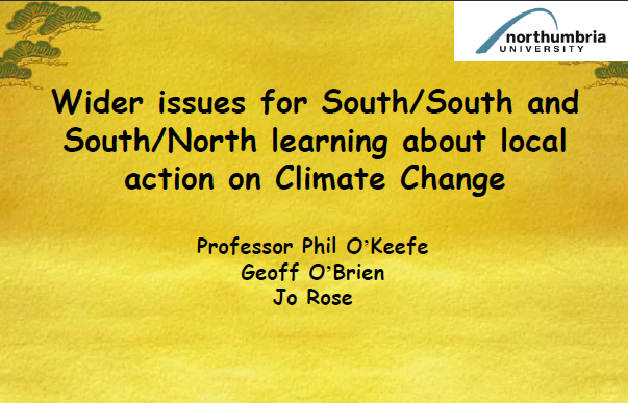 In fact, international climate negotiation has been plagued by global North versus South conflicts. Poor developing nations have been deeply worried that climate change policies will exacerbate existing injustices between rich and poor nations if the poor countries' ability to develop economically is thwarted by limits on greenhouse gas emissions. The second allocation formula based upon equitable considerations is the GDR framework; a framework specifically designed to assure that poor people are not unfairly constrained in a world in which the global economy is constrained by limits on carbon (Baer et al. 2008). GDR begins with an ambitious emissions reduction pathway which, geared to the latest alarming evidence, has a relatively high probability of holding global warming below 2°C (Baer et al. 2008). GDR specifies that individuals whose income is below $7,500 are given the right to development. Under GDR these, by definition, poor individuals are not expected to help to pay the costs of the climate transition. Yet, individuals with incomes above the development threshold- by stipulation of GDR, the global consuming class- are thought of as having realized their right to development (Baer et al. 2008). Because of this, under GDR, they must shoulder the responsibility of curbing global carbon and the costs of adaptation from unavoidable climate change and compensation for climate damages (Baer et al. 2008). Although some governments and organizations have endorsed either C&C or GDR, these frameworks have not yet been seriously considered by governments as the basis for setting emissions reductions commitments during recent climate change negotiations despite high levels of interest in these two approaches among non-government organizations. In fact, most nations have continued to avoid linking their commitments to greenhouse gas emissions reduction to levels that take equity into account. An equal per capita allocation, the ultimate goal of C&C, would be consistent with principles of justice because: (a) it treats all individuals as equals and, therefore, is consistent with theories of distributive justice, (b) it would implement the ethical maxim that all people should have equal rights to use global commons, (c) it would not be inconsistent with the widely accepted polluterpays principle, except perhaps with historical emissions, and (d) it could recognize the need of developing countries to increase their emissions to meet the basic needs of their citizens by negotiating when the convergence date would need to be achieved. Before allocating any carbon budget- a budget necessary to achieve a safe global atmospheric concentration of greenhouse gases on the basis of equal per capita allocations- a case can be made that per capita emission levels should be adjusted to consider historical cumulative emissions. C&C has been criticized on the basis of its failure to deal effectively with historical emissions; a feature of C&C that could mean poor nations have insufficient levels of greenhouse gas emissions to allow them to use fossil fuels to economically grow out of poverty. Proponents of C&C have proposed some adjustments to C&C to deal with this limitation, including adjustments to the date of convergence and increased funding for adaptation to deal with this problem. And so as adjusted, C&C satisfies ethical scrutiny and can be seen as a way of operationalizing the meaning of equity under the UNFCCC. Because of the increased complexity of negotiations that would be required to implement GDR, Kraus believes it is not politically feasible. Ethics would not support a formula that is almost impossible to implement. Of course, proponents of GDR deny that complexities of GDR create practical barriers to its adoption and implementation. And so GDR passes ethical scrutiny, although some practical problems need to be answered. Climate change raises some of the most profound ethical issues of our time. And yet, for thirty years our policy responses have evaded comprehensive ethical analysis. This book puts an end to this 'grave and unjust omission. 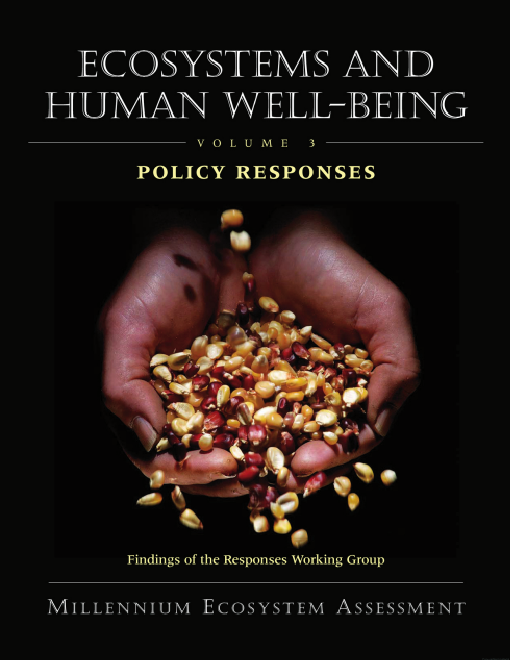 However, the outstanding contribution of this book is its explanation of how ethical considerations can bring moral responsibility to the forefront of climate policy and action. Don Brown navigates the troubled waters of climate change denial. He deconstructs the cynical efforts by vested interests to pollute the public discourse by means of a climate change disinformation campaign. Brown also makes a compelling argument that limiting carbon emissions and mitigating climate change is the ethical imperative of our time. In this fascinating book, Donald A. 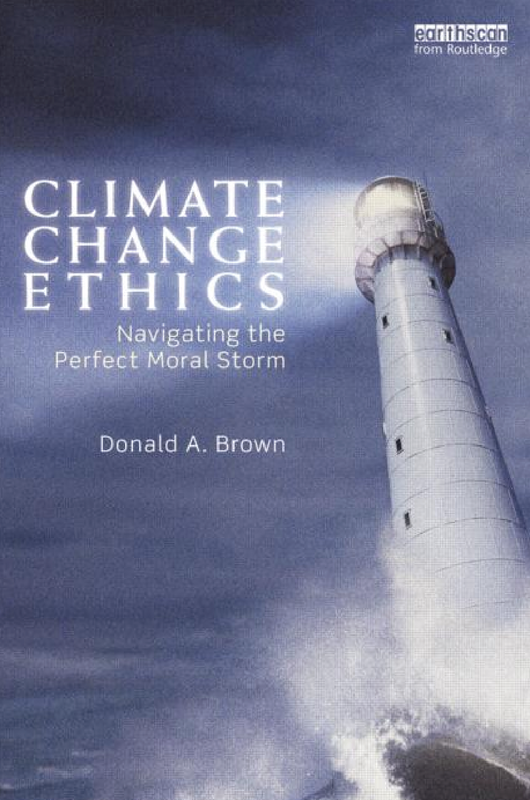 Brown draws on his vast experience to explore one of the great ethical issues of our time, and provides recommendations about how to bring ethical issues into the formulation of global warming policy responses. Climate change is now the biggest challenge faced by humanity worldwide and ethics is the crucial missing component to the debate. The climate change threat is caused by the wealthiest of the world's population putting the most vulnerable at risk. The ethical dimension of climate change is therefore crucial, as the victims can only hope that those responsible for climate change will appreciate their obligation to the rest of the world and reduce their emissions accordingly. 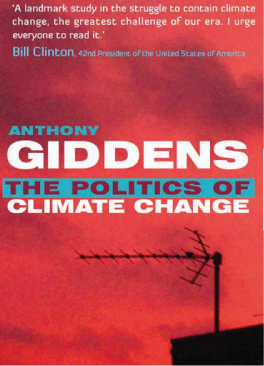 This book examines why a thirty-five-year discussion of human-induced warming has failed to acknowledge fundamental ethical concerns, and subjects climate change's most important policy questions to ethical analysis. 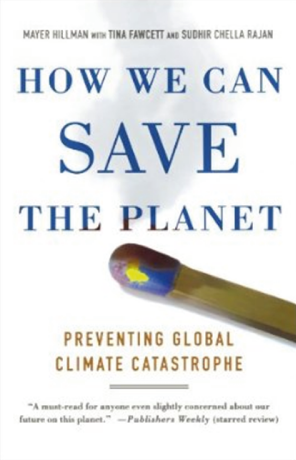 Climate change is a global problem that requires a global solution, and given that many nations refuse participation due to perceived inequities of an international solution, this book explains why ensuring that nations, sub-national governments, organizations, businesses and individuals acknowledge and respond to their ethical obligations is both an ethical and practical mandate. The book examines the reasons why ethical principles have failed to gain traction in policy formation and recommends specific strategies to ensure that climate change policies are consistent with ethical principles. It is the first book of its kind to go beyond a mere account of relevant ethical questions to offer a pragmatic guide to how to make ethical principles relevant and integral to the world's response to climate change. Written by Donald A. Brown, a leading voice in the field, it should be of interest to policy makers, and those studying environmental policy, climate change policy, international relations, environmental ethics and philosophy. Donald A. Brown is Scholar in Residence on Sustainability Ethics and Law at Widener University School of Law, USA. Taken together, the above suggests that GDRs performs worse against all of the four criteria. In its present form, GDRs is also inappropriate to implement the right to development and to solve the development crisis. Compared to GDRs, C&C is easier to negotiate and to implement, C&C has a higher potential to lead to a global climate compromise, C&C rests on less contestable ethical foundations, and has a higher potential to stimulate changes in public attitudes and awareness. All in all, C&C is the preferable concept. However, with a view to tackling the climate challenge, C&C should put more emphasis on the fact that in the future for many countries the conventional development path based on increasing economic growth and the consumption of fossil fuels will no longer be feasible. Climate change largely challenges prevalent international institutional control mechanisms. To overcome the climate crisis, it is therefore the more important to create a global atmosphere of trust as a basis for comprehensive cooperation across social, economic, and cultural divides. The image of a divided world which is in the centre of the GDRs Framework (e.g. Baer et al. 2008:91) may aptly describe reality but it may not show a vision of how to bridge the gap between rich and poor, North and South. C&C, however, evokes the image of a global community in which, under growing pressure, people in poor and rich countries alike act together to bring about a more careful and sustainable management of the atmosphere. However, a global climate partnership based on C&C will only be achieved once the obligation of rich countries to assist adaptation in poorer countries is duly recognized. This is not a question of charity but a question of justice and fairness. Because of the long phase-in time that would be required to move toward per capita allocations in the developed nations. those developing nations pushing for per capita allocation have proposed an approach usually re ferred to as 'contraction and convergence’. 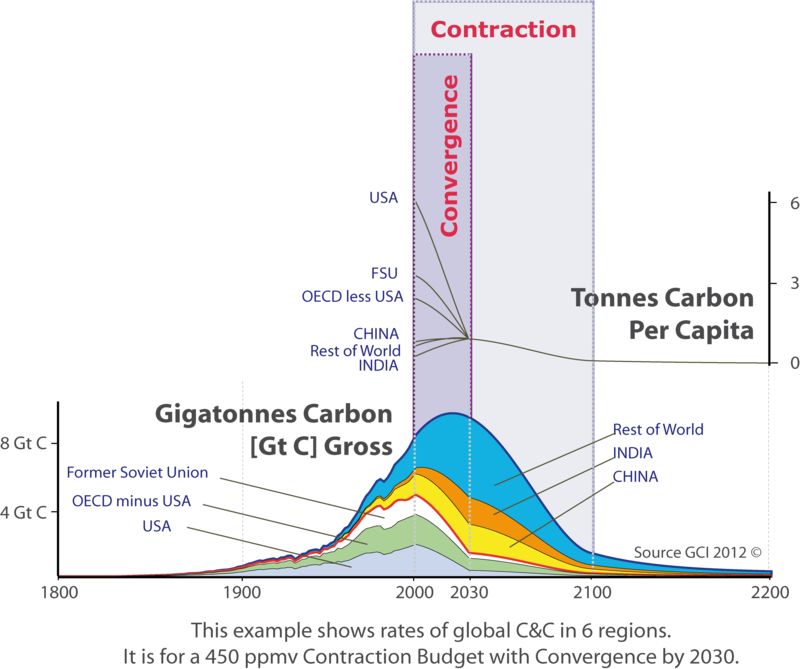 Contraction and convergence means an allocation that would allow the large emitter nations long enough time, perhaps thirty or forty years to contract their emissions through the replacement of greenhouse gas-emitting capital and infrastructure and eventually converge on a uniform per capita allocation. It would implement the ethical maxim that all people should have equal rights to use a global commons. Since most nations entered the Copenhagen and Cancun negotiations as if national interest rather than global responsibility to others was an adequate basis for national climate change policies, the commitments made under the Copenhagen Accord and Cancun agreements fail to satisfy equity criteria. In fact, in the lead-up to Copenhagen, most of the justifications for national commitments that had been announced by countries to reduce their emissions were exclusively focused on whether they met global goals to reduce GHG emissions unadjusted by equity considerations. There have been several proposals discussed by the international community about second commitment period frameworks that would expressly incorporate equity into future ghg emissions reductions pathways. Two such frameworks are known as “Contraction and Convergence” (C&C, 2009) and “Greenhouse Development Rights” (GDR) (Bear and Athanasiou, 2009) frameworks. In the lead-up to Copenhagen, all major GHG emitting nations ignored the C&C or GDR frameworks or any other comprehensive framework that took equity into account. In fact, the Copenhagen Accord and the Cancun agreements allowed each nation to identify its emissions reduction commitment based upon voluntary national considerations without regard to equity. Jelle Hielkema ex FAO Rome - "Fabulous, terrific, so clear & so clean - Congratulations." substantial support for, a solution to the challenge presented by the global climate changes which we are all now facing and which so seriously threaten our future. This solution is called 'Contraction and Convergence (C&C). more perfectly than Aubrey Meyer with the C&C concept and comapign and support for this is already extensive and diverse. Here C&C has been developed into the rigorous 'Carbon Budget Analysis Tool' (CBAT). Having done-the-maths, this peerless and quite beautiful heuristic device is user-interactive in a user-friendly way. a horizontal slider for inter-regional convergence rates for emissions budgets across time [the challenge arising for the negotiators - how to share that budget]. sea-level rise and ocean acidity, it brings a high degree of strategic clarity to the policy debate that has been completely lacking so far. So I wholeheartedly recommend its use to the concerned public and the policy community. and how these might accumulate in future atmospheric concentrations paths, especially in the light of potential runaway feedback effects. the choice of setting any start-date and any end-date for any 'convergence window' inside any of those contraction rates. CBAT is default programmed with three carbon-budgets HI LOW & MEDIUM [MEDIUM is equivalent to the UK Climate Act]. However any carbon-budgets can be programmed into CBAT and it will simply analyse and display whatever carbon budgets it is presented with. This is appropriate as CBAT is primarily a 'policy-model' rather than a climate-model. Another compelling feature of the version of CBAT already online and working, will soon be tabulated numerical values of the choices made combing Domains One and Two. These users will be able to summon at will. Contraction and Conversion and Damages and Growth- thus bringing to completion this unique and ingenious conceptual tool. and particularly their children will have to 'deal and cope' with a world increasingly beleaguered by its own seriously modified planetary climate. No denying of that anymore and 'those in charge' better wake up to that stark Reality and act accordingly!" 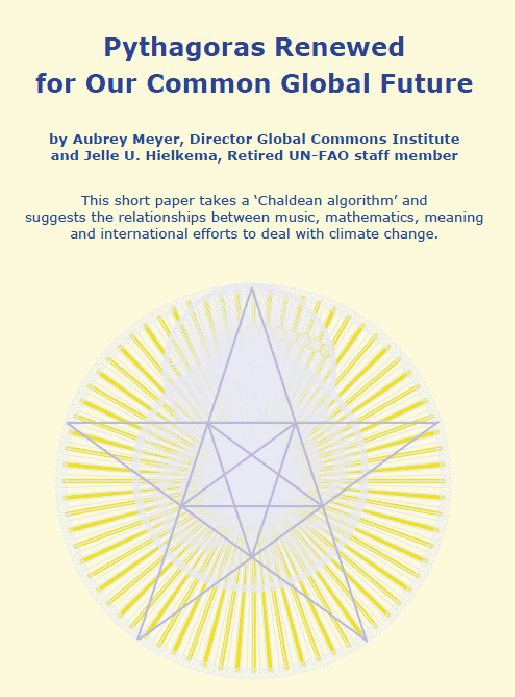 This short paper takes a ‘Chaldean algorithm’ and suggests the relationships between music, mathematics, meaning and international efforts to deal with climate change. if dangerous rates of climate change are yet to be avoided. Imagine being kissed by Venus 25 times in the next 40 Years. 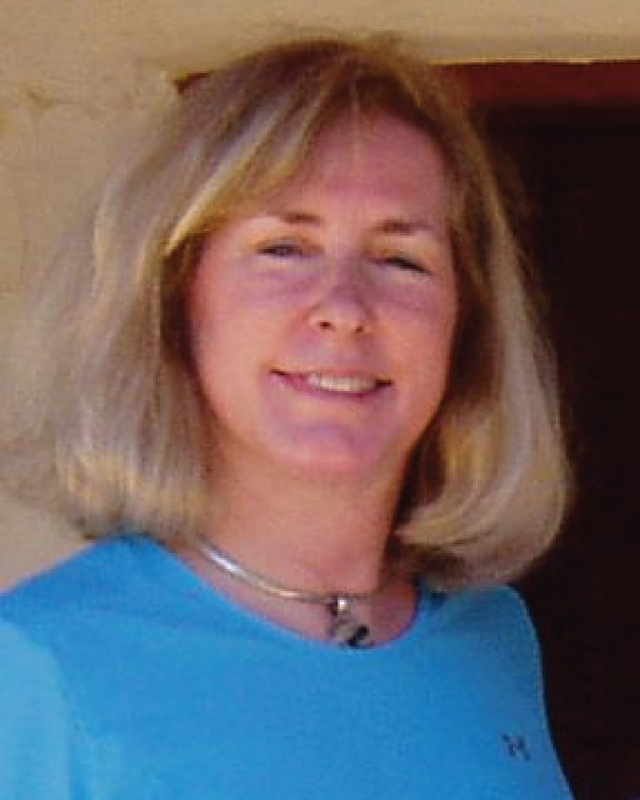 Laurie Barlow AIA California - "This is terrific, works very cleanly, congratulations! This is a major leap forward." "CBAT is truly excellent! Just an incredible tool. You were fortunate to find people capable of working with you to produce the correct interactive digital structure that follows your logic. It's showing the interconnectedness of the three factors (temperature, acidity, and sea level) with a graphic user interface, which nobody else has done. the impact of 450 PPMV as a "runaway" scenario, and how many Gt C's per year have to be reduced in order to avoid it. see what could happen in the future. we don't get back to the planet we had in 1960 (316 PPMV), let alone the levels before the industrial revolution (260–280 PPMV). It's outstanding and terrifying as an exercise in observing the possible and the probable that now lies in our future. It's Bill McKibben's challenge to "do the terrifying math" finally made accessible to everyone. What do you suppose Jim Hansen (US Government) will say to this? Pretend they can't understand it? this problem, making the Apollo program look like child's play. Which it was. And here we are at 400 ppmv half a century later." I completely support the adoption of the Contraction and Convergence Operational Framework submission to the UN Climate Negotiations. This climate agreement model is a very transparent and fair methodology for setting the framework for convergence of carbon emission containment and regenerative ecological habitation by all countries. It is a very clear and rational approach based upon per capita allowances. It's a necessary step because the timeline to reduce human carbon emissions to zero is only 50 years, due to recent documented changes in the climate system. Double-Jeopardy of unsustainable growth of human population demands and concomitant increased costs of climate damage is a very clear risk model, and it's shared by every country on the globe. It's the limit to growth problem, and the methods by which this risk is contained are grounded in the rapid evolution of renewable energy, conservation and ecological recovery. 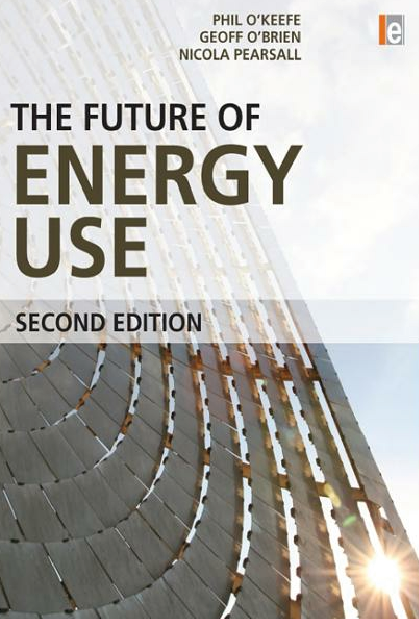 These things are eminently doable, as is evidenced by the rapid development of net-zero strategies by the building industry, and the capability for rapid energy production transformation as outlined by the Rocky Mountain Institute. Many regional projects around the globe have already regenerated their rivers, forests and resources as part of their development. The costs of the impact of climate change, as the financial community has observed through its re-insurers, are running well ahead of rate of growth of the global economy. This creates destructive economic as well as physical vectors and generates a future of great uncertainty for all countries. Destabilization of climate, food and water supplies, energy and resources come as an ultimate price of unchecked growth, placing this huge cost upon every country on the planet. Thus the argument that carbon emissions can continue going forward is shown to be utterly destructive to all human societies and living systems by the projections in this model. Therefore the choice is not whether to agree, but how swiftly this method needs to be put into place. The sooner it is achieved, the better the future is for all countries, and the damage to human life, as well as to all life and ecological systems can be minimized both economically and in terms of resources. This is a shift in the idea that human existence requires continuous expansion; rather it focuses on the quality of life on earth and the idea that a less mechanistic existence requires fewer resources and fosters the regeneration of that which supports life for all. Human suffering and extinction of natural processes are not rational choices under this model, which is something that can be agreed to in principle very quickly by all countries; the stakes are clear. How this is achieved is left up to individual countries and fostered by ability of low-emission countries to create value for their renewal strategies and low carbon levels. This creates an incentive game where this value is sought after, thus creating a market for non-emission of carbon. It's the inverse of how fossil-fueled capitalism works now, but uses the same kind of fiscal incentives, and creates an entire new paradigm for human existence within the natural world that stabilizes the future and allows the earth to regenerate. In support of the Contraction and Convergence submission to the UN Climate Negotiations (UNFCCC) in February of this year by Aubrey Meyer (in video above) of the Global Commons Institute, I'm dedicating this post to the implementation of its framework. The UN Climate Change Conference last December unfortunately came to a close with no agreement on global NEA goals. National Emissions Allocations are distributed through a global agreement of quotas of allowed emissions per capita for each country. This was proposed by the Global Commons Institute in 2000, and is conceptually accepted as a methodology by many countries. The NEA- based contraction convergence model applies an emissions cap to each country that declines rapidly over 40 years in order to reach the desired global atmospheric goal of 430 ppmv by 2052 (we're at 395 now). It's a cooperative effort, with developed nations assisting the third world countries in their reduction via the transfer of energy and pollution control technologies. Its strategy is that rapidly developing countries such as China and India must quickly pull back on their increasing emissions, and the UK and USA must simply implement immediate reductions in GHG emissions, period. This proved untenable to developed countries at Durban in December 2011, and so no global agreement was achieved. There is a consensus on the model, however, so the negotiation continues. The Global Commons Institute [GCI] was founded in 1990. It has developed thisemissions management modelthat has gained support by many countries as a fair and effective model for reducing carbon emissions. A proposed strategy for counteracting human activity in the biosphere as a comprehensive approach is called theContraction and Convergence model. It sets up the framework whereby all countries accept a carbon budget that shrinks rapidly during the convergence phase between 2000 and 2030, resulting in a diminishment of carbon emissions to the levels seen in 1900 within 200 years. Will this be sufficient to preserve the planetary systems as we know them today? We may have a difficult time maintaining human life, not to mention the rest of the life systems that give us sustenance. Tom Barker Head of Education at Centre for Alternative Technology - "CBAT is a seriously powerful tool that makes the unknowable knowable for policy makers." The unknowable has just become knowable. Politicians, economists and policy-makers are faced with making decisions today on scientific details and projections they know embarrassingly little about. The Carbon Budget Analysis Tool (CBAT) will give them what they need. and of course, political and economic choices. in the knowledge that C&C is the only realistic way forward for international climate negotiations and agreement." Dr Keith Baker & Susan Roaf ICARB - "CBAT C&C leaves naysayers nowhere to hide from the science & for that we all owe Aubrey & GCI a debt of gratitude." 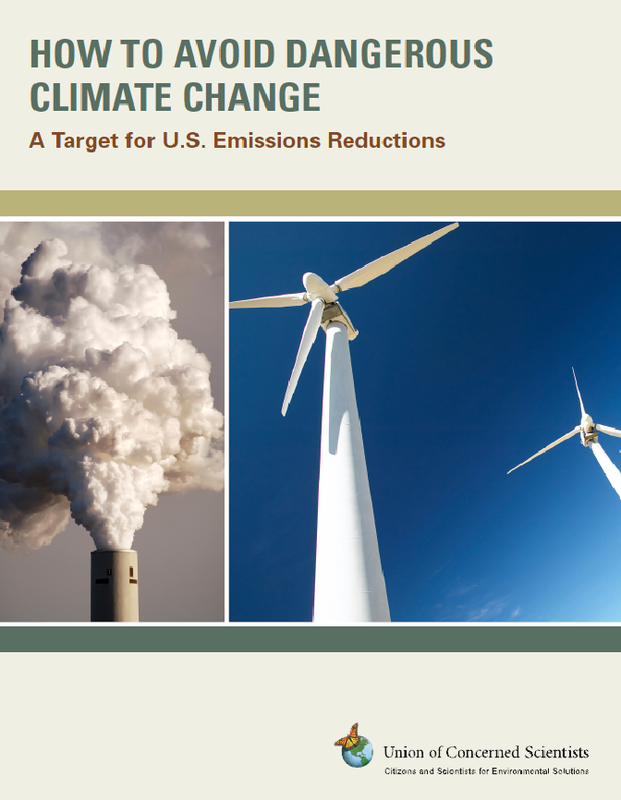 on any robust and truly equitable approach to reducing carbon emissions. that basically boil down to fears that publicly supporting it would make them unelectable. What CBAT really adds to the C&C model is a clear and stark illustration of the costs of not acting now. now the reasons they give can be set directly against the impacts of not acting now, and we can all be the judge of how reasonable their excuses are. all it takes is a few quick tweaks to the sliders and it’s game on again. and for that we all owe Aubrey and the GCI a debt of gratitude. Dr Geoff O'Brien Universtiy of Northumbria - "CBAT will become part of my teaching – it is a very elegant tool." I use C&C as part of my teaching on energy and climate policy. CBAT will also become part of my teaching – it is a very elegant tool. Each domain is of interest but I think the third domain (technology shifts) will prove very useful to students taking my energy module. Llike you, I believe the underlying problem is poverty and inequity. We really do need to accept that change is needed. Whether the developed world can shift culture away from consumerism is a big unknown, but for climate policy to have any chance of success we need to address the demand problem. Keep up the good work and lets all push for an agreement in Paris! We need one – the future is very scary. I have 4 children and I want them to have a future! As the previous section highlighted, there is still some doubt as to whether a carbon market can be designed to generate real carbon reductions. Other alternatives to the UNFCCC and its Kyoto Protocol are proposals for Contraction and Convergence and the Greenhouse Development Rights Framework. 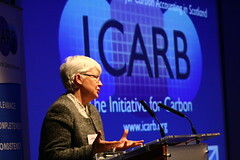 'Contraction and Convergence' is a proposal for an emission allowance on a capitation basis eventually driving to similar levels of carbon allowance (Meyer, 2001). It is based on national allowances and therefore does not consider broader global problems such as development but it wishes to push for similar carbon allowances for everyone. In contrast, the Greenhouse Development Rights Framework argues that poor people should not be paying for the excesses of the rich (Baer et al 2007). Professor Tim Riordan UEA - "With C&C you initiated an ingenious approach. CBAT is clearly a valuable teaching tool; well done"
"CBAT is clearly a valuable teaching tool. ; well done"
"Contraction and Convergence. A single NGO - the Global Commons Institute [GCI] has initiated an ingenious approach to COP-4 and beyond." Professor Ross Garnaut - "C&C, a global standard, widely recognized & oustanding contribution to the debate on avoiding dangerous rates of climate change." "Contraction and Convergence" - or C&C - concept and campaign, has created a global standard. It is now widely recognized as an outstanding and essential contribution to the global debate on what to do avoid dangerous rates of climate change. of equal shares in the use of the atmosphere subject to that limit. and economically rational global agreement on climate change mitigation. Garnaut Climate Change Review, commissioned by and presented to the Australian Prime Minister and all State Premiers. Lord Anthony Giddens - "C&C in this CBAT format looks very useful to me." Hope all well with you. I'm happy to add my name in support. C&C is fine in this CBAT format. It looks very useful to me and I'm glad you've got a lot of backing for it. However don't the main problems concern not the what but the how? In spite of endless UN meetings etc, thousands of good local initiatives and so on, the level of ghgs in the atmosphere continues to rise. Many thanks for sending it and keep up the pressure. "The Kyoto agreements have been widely dismissed - with a goodly dose of irony - as 'hot air'. Apologists for them offer several arguments in their favour by way of riposte. It has been said, for instance, that they are, above all, a learning process. In the post-2012 period, the world can come up with more universal and rigorous formulae - negotiations for a post-Kyoto regime are already under way; they began in Bali in 2007. The principle of 'common but differentiated responsibility', it is argued, provides a way forward for the world community. Contraction and convergence puts flesh on this idea. The website of the Global Commons Institute led by Aubrey Meyer, provides detailed background information. 'Contraction and convergence' - whereby developed countries reduce their emissions first, and radically, with poorer countries following suit as they become richer - is a necessary point of connection between the two types of development. There are different versions of this idea around, but the underlying principle is simple.21 The developed countries must aim to make large cuts in their greenhouse gas emissions, starting now. Developing nations can increase their emissions for a period in order to permit growth, after which they must begin to reduce them. The two groups of countries will then progressively converge." C&C answers this in a unifying and constitutional way and the need for this answer becomes increasingly critical." 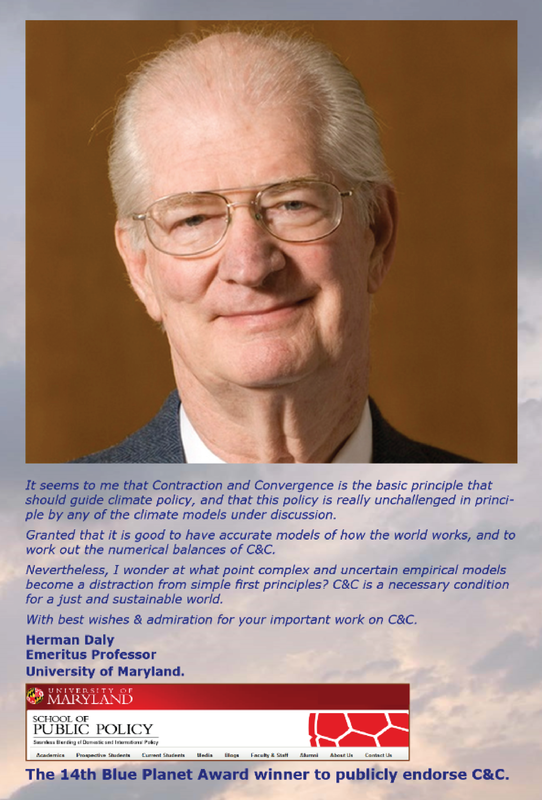 Professor Herman Daly - "C&C - the basic principle that should guide climate policy; unchallenged by any other model." Contraction and Convergence is the basic principle that should guide climate policy. It seems to me that this policy is really unchallenged in principle by any of the climate models under discussion. Granted that it is good to have accurate models of how the world works, and to work out the numerical balances of C&C. Nevertheless, I wonder at what point complex and uncertain empirical models become a distraction from simple first principles? With best wishes & admiration for your important work on C&C. 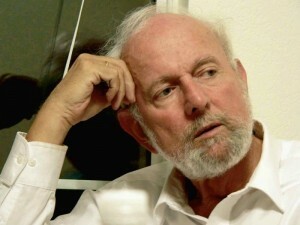 Herman Daly Emeritus Professor University of Maryland. Dr Andrew Dlugolecki Carbon Disclosure - "C&C is the pivotal proposal. 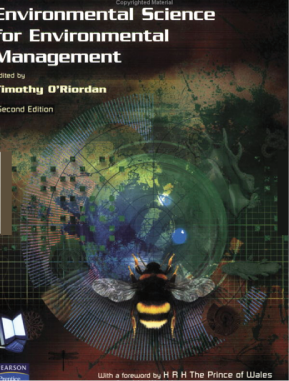 Simple, robust, its insight into the problem of climate mitigation bears the hallmark of true genius." Aubrey Meyer's insight into the problem of mitigation of climate change bears the true hallmark of genius: it is simple and robust. level of greenhouse gases, AND allocates the responsibility for achieving this internationally with the irresistible logic of equal shares. and prepare for a climate-friendly economy. It is no doctrinaire solution, but a brilliantly pragmatic and elegant solution. from governments to NGO's, to the business world, in which I operate. Too often, mitigation is portrayed as being detrimental to economic development. and already the UNEP Finance Sector Initiative has commended "C&C" to policymakers as a basis for negotiation. for creating such a seminal concept and promoting it so effectively. Chris Rose Former Greenpeace Campaigns Director - "Only extraordinary people like Aubrey, the father of C&C, managed to penetrate the remote climate citadel." Here are ten factors which have made it hard to campaign effectively ‘on climate’. managed to penetrate this remote citadel. NGOs could prioritise it but they were stuck in someone else’s game. Julian Salt Insurance Industry - "CBAT; I commend this model to any agency prepared to listen & act on Aubrey's findings. It has been an honour to know him." but also the far more important issue of feedback emissions (both natural and induced). from a global perspective. As past efforts have shown, if this approach is not taken another 10-20 years will be wasted in more UNFCCC meetings. 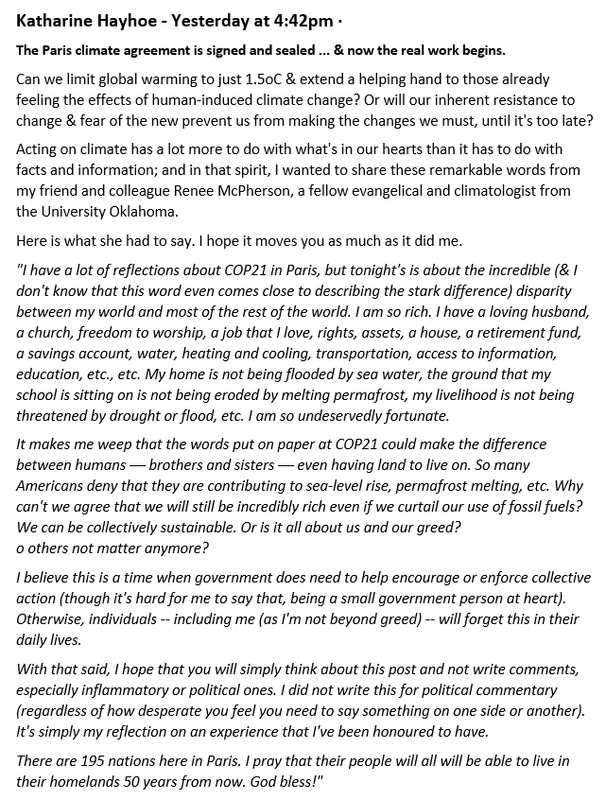 He is the most courageous and brilliant climate researcher I have ever met. He is willing to say what other’s merely think. is indestructible and will in the fullness of time be adopted in some form by the UNFCCC. and worked with such a brilliant mind and such an honest person as Aubrey. planet from the ravages of man-induced climate change. I commend this model to any agency that cares to listen and act on his findings. 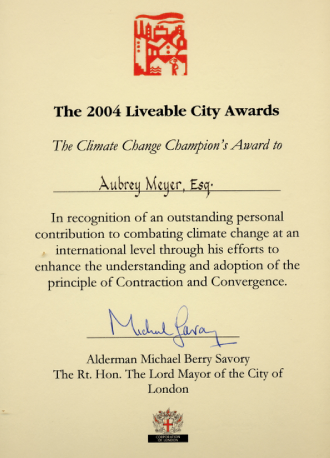 Liveable City Awards to Aubrey Meyer - "An outstanding contribution to combatting climate change internationally with Contraction & Convergence." through his efforts to enhance the understanding and adoption of the principle of Contraction and Convergence." 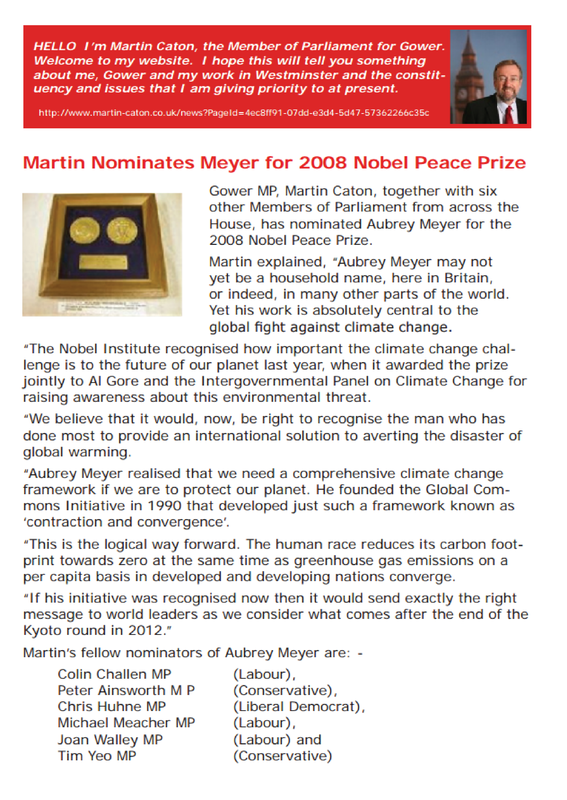 On the day that the Kyoto Protocol comes into effect, Meyer’s work on Climate Change is recognised with Lifetime Achievement Award. Corporation of London’s Liveable City Awards 2005.
the best in sustainable business practices. On the day that the Kyoto Protocol came in effect, a Lifetime Achievement Award was made to Aubrey Meyer for his contributions to tackling climate change. framework within which to resolve policies and measures to avert climate change. of MPs, FTSE 250 Chairman/CEO’s, NGO’s and environmental media representatives. 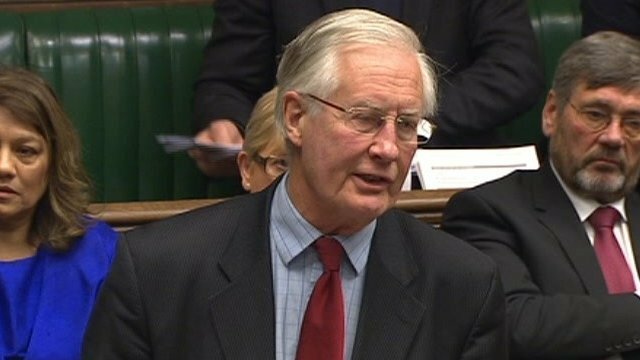 Michael Meacher Ex DEFRA Minister - "C&C is a very powerful idea from the brilliant & relentless campaign waged by GCI & we move remorselessly in that direction." I find 'C&C' an appealing concept. It is obviously absolutely profound in its implications. It is normally known under the title of Contraction and Convergence. as they industrialise and increase their emissions....I do not think it is pie in the sky. It is certainly not just a conceptual philosophy. We are moving remorselessly in that direction. Joan Walley & 6 more All Party Parliamentary Climate Group MPs - "We believe it would now be right to recognize the man who has done most to provide a solution." Martin explained, “Aubrey Meyer may not yet be a household name, here in Britain, or indeed, in many other parts of the world. when it awarded the prize jointly to Al Gore and the Intergovernmental Panel on Climate Change for raising awareness about this environmental threat. Aubrey Meyer realised that we need a comprehensive climate change framework if we are to protect our planet. He founded the Global Commons Initiative in 1990 that developed just such a framework known as “contraction and convergence”. on a per capita basis in developed and developing nations converge. If his initiative was recognised now then it would send exactly the right message to world leaders as we consider what comes after the end of the Kyoto Protocol. Tamas Szabados Budapest Hungary - "The CBAT visualization tool is a good new step in explaining the dangers we face." I very much appreciate the work that you and your associates have been performing in the last almost 25 years at the GCI. 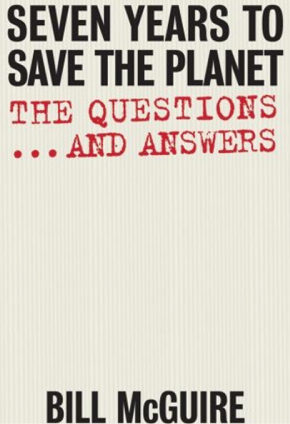 You have been fighting for explaining the immense importance of curbing the emission of greenhouse gases. and laymen who do not admit the basic facts about man-made climate change. sources of energy is not at all as high as some politicians claim. The potential damages that we face if we do not act are much higher. Your new visualization tools are a good new step in the process of explaining the facts about this issue. I wish you many more successes in your work. Adair Turner former Director CBI former Chair Climate Change Committee - "C&C the only sound strategy. The UK Climate Act is pretty strong support for what Meyer says." His analysis really starts to pack a punch when he turns to the environment. Here, after all, is a case of massive market failure. arguing that the cost will be repaid many times over by the avoidance of disaster. 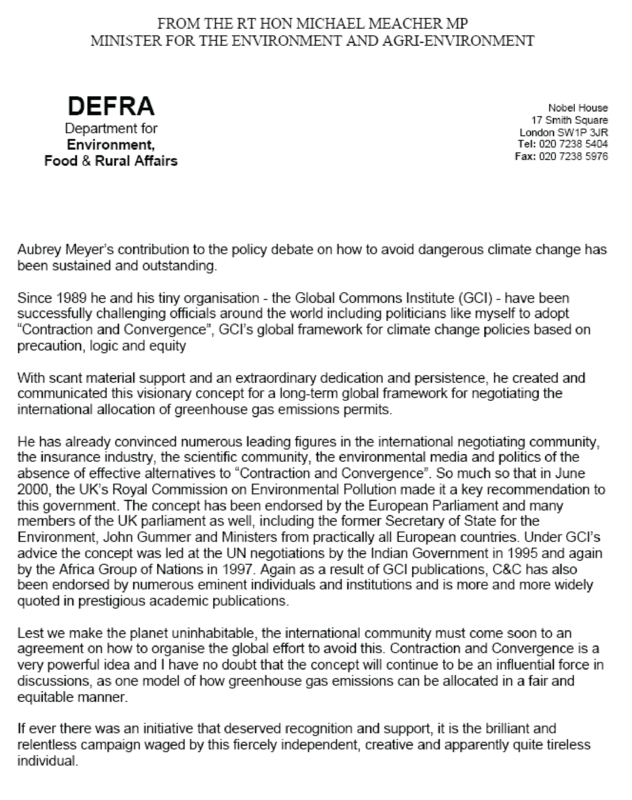 "In the UK Climate Act we have endorsed the C&C principle. Its pretty strong support for what Aubrey Meyer has said." David Wasdell Appollo Gaia Project: - "CBAT - a unique breakthrough; separating budget emissions from feedbacks is conceptually brilliant." such an inclusive range of the system dynamics of the natural/human interaction! is brilliant at a conceptual level." Tim Smit CEO the Eden Centre - "The great gift of meaning & optimism from CBAT in the tireless work of Aubrey Meyer." Congratulations - "I have yet to find someone who can scientifically disprove the work of Aubrey Meyer." face of such figures with so many numbers you go dizzy looking at them let alone understanding them. it is still ours to make is a powerful incentive indeed. Aubrey - Of course you can add my name. itself a monument to high technological achievement, talking about why it is important that everybody in the world gets behind Contraction and Convergence [C&C]. has taught me that things that have proportionality to them, that have melody to them, that are profoundly simple, usually have something right going for them. understanding that perhaps there is something of the night about it there is something not properly scientific. in terms of being able to make us live with the grain of nature and not apart from it. I have yet to hear anyone provide an argument that makes it ethically unsound, however uncomfortable they may feel about it. I have yet to find someone who can scientifically disprove the work of Aubrey Meyer. at the moment where we are going to have to reduce carbon by a phenomenal amount over the next forty years. 80% is some poeple's guess. But if you look at the figures it could be far less tha forty years. We're going to have to have tactics in place to deal with it otherwise we're not going to worthy of the name 'homo sapiens' - what a joke, the wise hominid. actually go with it simply on a precautionary basis because at least along the path towards it, those little glitches that need to be ironed out, can be. But the first thing is a statement of commitment and conviction that we truly are worthy of the name that we gave ourselves. "we're not descended from apes you know"; adaptation . . . then they suddenly realized that adaptation was rather clever - the survival of the fittest . . .
that actually makes us top-chaps, actually in authority worthy of it- there's biological reason . . .
Well let me tell you if we can't sort this out, if we can't embrace C&C, the biological reason will have shown why we are redundant. Wake up, support this, be excited, know you are living in a time in history which is about as important, if not more so, as the dawning of the Renairssance." or a monumental act of vanity. now that is a challenge worth rising to. Richard Betts UKMO - "Aubrey is a great and gifted communicator." "Thanks for your wise words Tim. Aubrey is a great and gifted communicator." Sir Robert Watson Former Chair IPCC - "C&C, the science-based global policy framework receiving significant attention." “An approach receiving significant attention is Contraction & Convergence, the science-based global climate-policy framework proposed by GCI. 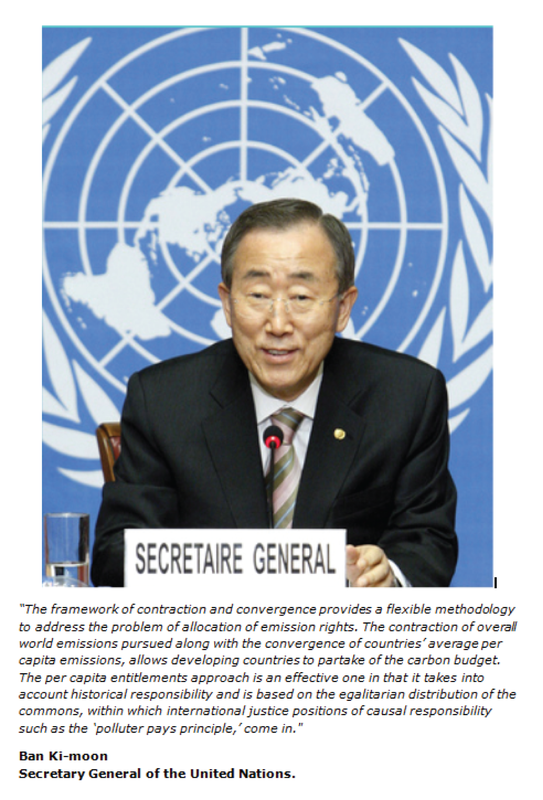 Ban Ki Moon UN Gen Sec & R Pachauri IPCC Chairman - "Contraction of overall emissions with Convergence of countries' per capita emissions is flexible & effective." “The framework of ‘Contraction and Convergence’ provides a flexible methodology to address the problem of allocation of emission rights. The contraction of overall world emissions pursued along with the convergence of countries’ average per capita emissions, allows developing countries to partake of the carbon budget. Rupert Read Green MP Candidate Cambridge & Chair of Green House - "CBAT needs to used by policy-makers soon, to arrest the very serious hazards we face." I’m a big fan of CBAT. It sets out with clarity the choices facing us & how the room for manoeuvre narrow, how the spectrum of choices narrows, with each passing year. As I sit here writing these words, it’s Halloween - and the temperatures outside would be normal for summer here. It looks like 2014 may well be the warmest year ever, and, in Britain, about the most climate-chaotic year ever. CBAT needs to be USED by policy-makers, and soon, to arrest the very serious hazards we face if we refuse to make the choices that await us. the rich to a level where their (i.e., our) lifestyle actually is sustainable, which is argued for in the contraction and convergence model (Meyer, 2001). never be if we do not sort out and build down our ‘externalities’ – is not to seek to haul up the worst off, but to turn the proposition around. In other words, to question the difference principle. To question the thought that a ‘gain’ for some or even for all is really a gain at all. in which we no longer believe that economic gain for the worst off is necessarily a good thing, beyond a truly decent level of subsistence. growth-based ‘wealth-creation’, even one that supposedly contributes to development for the alleged benefit of the worst-off. 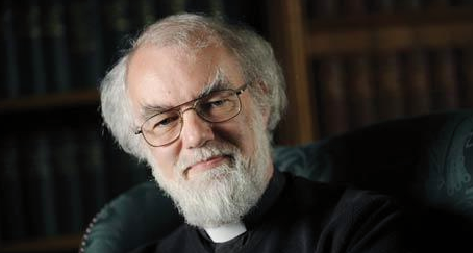 Rowan Williams former Archbishop of Canterbury - "Those who think C&C is Utopian simply haven't looked honestly at the alternatives." A manageable first step relating particularly to carbon emissions, supported by a wide coalition of concerned parties, is of course the 'Contraction and Convergence' proposals initially developed by the Global Commons Institute in London. This involves granting to each nation a notional 'entitlement to pollute' up to an agreed level that is credibly compatible with overall goals for managing and limiting atmospheric pollution. Those nations which exceed this level would have to pay pro rata charges on their excess emissions. The money thus raised would be put at the service of low emission nations or could presumably be ploughed back into poor but high-emission nations who would be, so to speak, in credit as to their entitlements, so as to assist them in ecologically sustainable development. Such a model has the advantage that it seeks to intervene in what is presently a dangerously sterile situation. At the moment, some nations that are excessive but not wildly excessive polluters (mostly in Western Europe) have agreed levels of reduction under the Kyoto protocols, and are moving with reasonable expedition towards their targets; some developed nations that are excessive polluters have simply ignored Kyoto (the USA); some rapidly developing nations that are excessive polluters have also ignored Kyoto because they can see it only as a barrier to processes of economic growth already in hand (India and China). A charging regime universally agreed would address all these situations, allowing the first category to increase investment aid in sustainable ways, obliging the second to contribute realistically to meeting the global costs of its policies, and enabling the third to explore alternatives to heavy-polluting industrial development and to consider remedial policies. This scheme deals with only one of the enormous complex of interlocking environmental challenges; but it offers a model which may be transferable of how international regimes may be constructed and implemented. If Contraction and Convergence gained the explicit support of the UK government, this would be a significant step towards political plausibility for the programme, and it is well worth keeping the proposals in the public eye with this goal in mind. 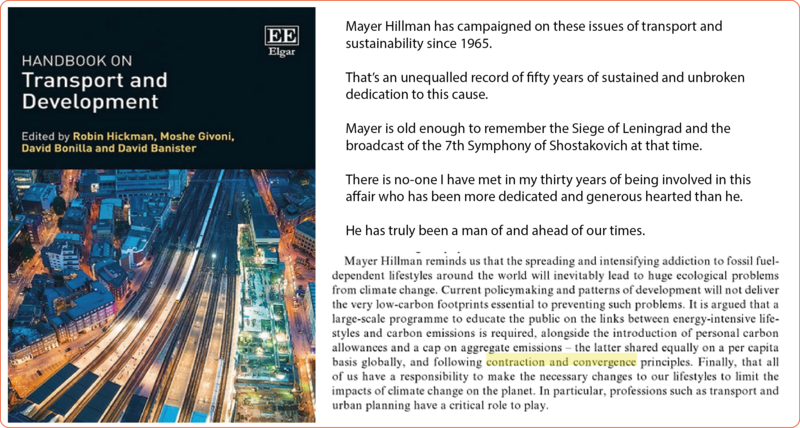 "The vision of contraction and convergence as a response to climate change, which is described in this volume, is one that I support. I have also called upon our Church to undertake an ecological audit of some sort; information about how to do this can be found in Part Three. Such local, internal responses are vital if our voice as a Church is to have integrity." "Those who think contraction and convergence is Utopian simply haven't looked honestly at the alternatives." Faith in the Public Square [Can you hear the harmonics? See below]. "One of the features of addictive behaviour is, classically, denial; we should perhaps not be surprised to find the divided mind I spoke of a moment a go in so much of our economic forecasting. But we learn to face and overcome denial partly by new relationships or new security about relationships enabling us to confront unwelcome truths without the fear of being destroyed by them. This is why myths matter, and why multiplying statistics doesn't of itself change things. That the world is the vehicle of 'intimate and dynamic relation' with the active and intelligent source of all life is some sort of spur to face our sins and absurdities in dealing with it. But we need to bear in mind also that we are talking not just about the respectful conservation of an environment for its own sake. Concrete material processes have, so to speak, caught up with the myth, and we should be able to see that offences against our environment are literally not sustainable. The argument about ecology has advanced from concerns about 'conservation': what we now have to confront is that it is also our own 'conservation', our viability as a species, which is finally at stake. And what is more, in the shorter term, what is at stake is our continuance as a species capable of some vision of universal justice. Not the least horror of our present circumstances is the prospect of a world of spiralling inequality and a culture that has learned again to assume what Christianity has struggled to persuade humanity against since its beginning - that most human beings are essentially dispensable, born to die, in Saul Bellow's harsh phrase. I needn't elaborate on how this makes absolute nonsense of any claim to be committed to a gift-based view of the world and of our individual and social relations. There is in the long run no choice between this spiralling inequality (and the fortress societies it will create) and some realistic step to deal with our addictions. The Global Commons Institute, based in London, has in recent years been advancing a very sophisticated model for pushing us back towards some serious engagement with this matter of equality, through its proposed programme of 'Contraction and Convergence'. This seeks to achieve fairly rapid and substantial reductions in greenhouse gas emissions - but to do so in a way that foregrounds questions of equity between rich and poor nations. At the moment, rates of emission are fantastically uneven across the globe. In the first 48 hours of 2004, an average American family would have been responsible for as much in the way of emissions as an average Tanzanian family over the entire year. So what is proposed is that each nation is treated as having the same limited 'entitlement to pollute' - an agreed level of carbon emission, compatible with goals for reducing and stabilizing overall atmospheric pollution. Since, obviously, heavily industrialized, high-consumption nations will habitually be using a great deal more than their entitlement and poorer nations less, there should be a pro rata charge on the higher users. They would, as it were, be purchasing the pollution 'credits' of less prosperous countries. And this charge would be put at the service of sustainable development in poorer nations in accord with the Millennium Development Goals. This would be treated not as an aid issue, but as a matter of trading and entitlement. The hoped-for effect in the medium term would be convergence: that is, a situation in which every citizen of the globe would be steadily approaching the same level of responsibility for environmental pollution. Because such a programme would necessarily challenge over-average users to reduce (otherwise an intolerable tax burden would be imposed), we could look for a reduction in the addictive levels of dependence in wealthier countries and a stimulus to develop renewable energy sources. We should also achieve a dependable source of development income, neither loan nor aid, for the countries suffering most intensely from the existing inequities. This kind of thinking appears utopian only if we refuse to contemplate the alternatives honestly. Climate change has rightly been described by Sir David King, Chief Scientific Adviser to the Government, as a 'weapon of mass destruction', words echoed by Hans Blix, the former UN weapons inspector. In the current atmosphereof intense anxiety about terrorism, 'rogue states' and long-term political instability, we absolutely cannot afford to neglect what is probably the most deep-rooted source of further and potentially uncontrollable instability in the foreseeable future." 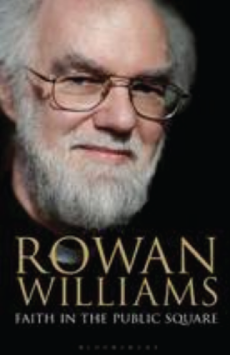 Rowan Williams, the finest theologian in Britain, offers in these essays the most penetrating analysis of the moral, cultural and economic crisis of our times, and of the role of faith in the public arena. It should be read by politicians, economists and artists, and by anyone who cares for the future of our society and planet. Dr Chris Groves Cardiff University - "CBAT is an achievement to be proud of, being an excellent tool for bringing urgency home to all." ‘I consider C&C to be the basis of any genuine solidarity between present and future generations in response to climate change. Future-focused care ethics necessariuly require that we now consider how the present distribution of opportunities and capabilities will shape the future world. We are thus required to recognize that care for the present is not necessarily care for the future, just as care for others is not possible if care-givers are not themselves propersly taken care of, in the puiblic and private spheres. The result is an imperative to weave together both dimensions of care, an imperative that has guided the development of governance frameworks developed in response to global warming such as Contraction and Convergence and Greenhouse Development Rights. Associate Professor Katherine Hayhoe Texas Tech University - "Thanks - I'll be using CBAT in my graduate class." "Cool new tool from Global Commons Institute, lets you design your own global emissions scenarios. What do YOU think is fair? Thanks - I'll be using CBAT in my graduate class." Katharine Hayhoe is a research associate professor in the Department of Geosciences at Texas Tech University and chief executive officer of ATMOS Research & Consulting. Lewis Cleverdon - "CBAT is a magnificent piece of work." "CBAT it is a magnificent piece of work. I am not at all surprised to see the intense interest shown by the rate of visits, as more and more of the world's climate researchers, policy analysts, energy planners and others realize that they too are members of the WHERETHEHELLAREWE? tribe that decided over a decade ago to take a 'short cut' through the swamp known as 'Climate Destabilization.'" 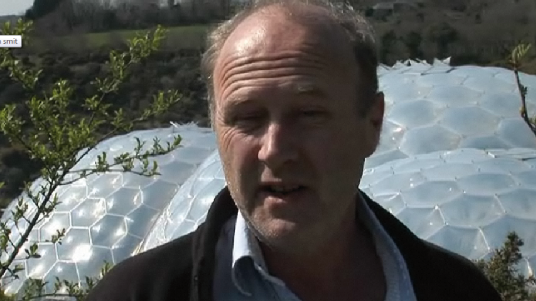 Dr Chris Shaw Tyndal Centre for Climate Change Research - "CBAT seems to be an incredibly useful tool." "CBAT seems to be an incredibly useful tool."